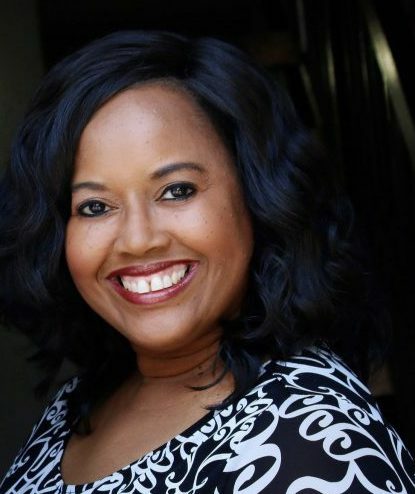 •Daraiha Greene gives invaluable insight into working at Google and the mega-tech’s unwavering commitment to America’s youth and diversity. •She shares her own journey as a woman of color, Dartmouth grad, and dedicated Googler, herself. •You’ll gain insider info on how Google’s first scripted web series, “God ComplX”, came to fruition. 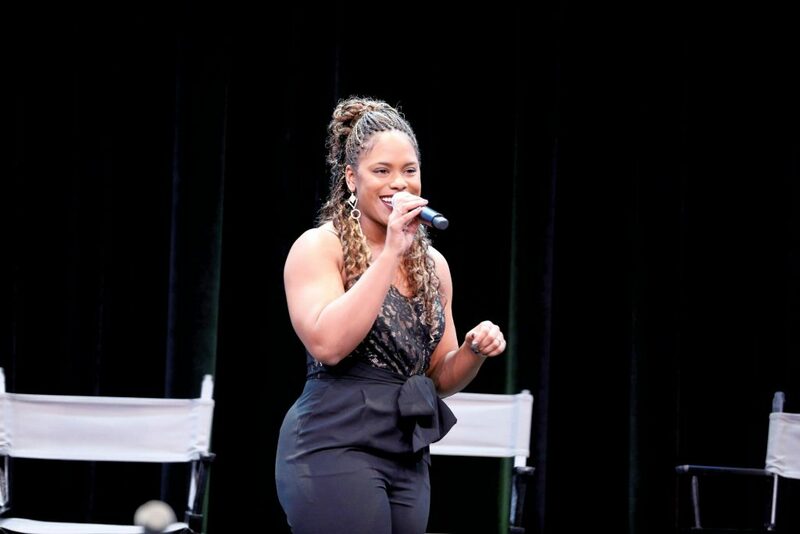 Google is at the forefront of the push to diversify the STEM fields and MoreMentum caught up with Daraiha Greene, Google’s Diversity in Entertainment Ambassador. In this capacity, Daraiha has been an integral part of Google’s full-court press to broaden the opportunities in technology for some of America’s most underserved communities. For the last 1 1/2 years, Daraiha has been on the frontlines in this diversity effort and she has not only helped educate girls and people of color about jobs in technology, but she has also been a part of the push to broaden the very definition of diversity itself, to also include the LGBTQIA community and people with disabilities as well. 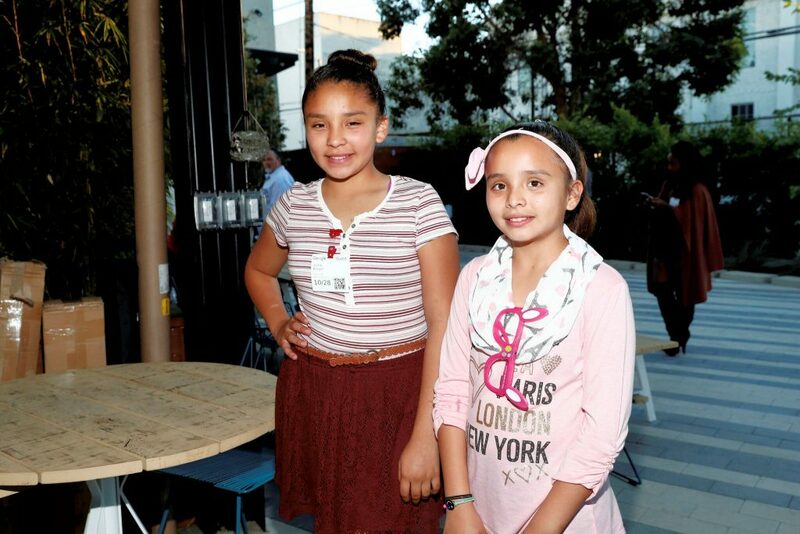 Casting a wider diversity net will ensure that all of these underserved communities will be exposed to tech-centered career paths that were once closed off to them, but are now well within their reach. Daraiha and the Computer Science (CS) Education In Media Team utilize creative outreach techniques to get their message of diversity in technology out to the masses. One of these methods is by integrating CS storylines into television shows that help promote this important and timely message. 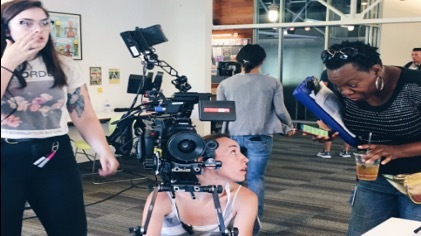 For instance, CS Education in Media actively pitch storylines to directors, producers, TV networks and film companies that will promote, include or highlight some facet of the tech world as seen through the eyes of a diverse character. Their efforts have directly influenced storylines on numerous TV series, such as Miles From Tomorrowland, The Powerpuff Girls, The Fosters and more! 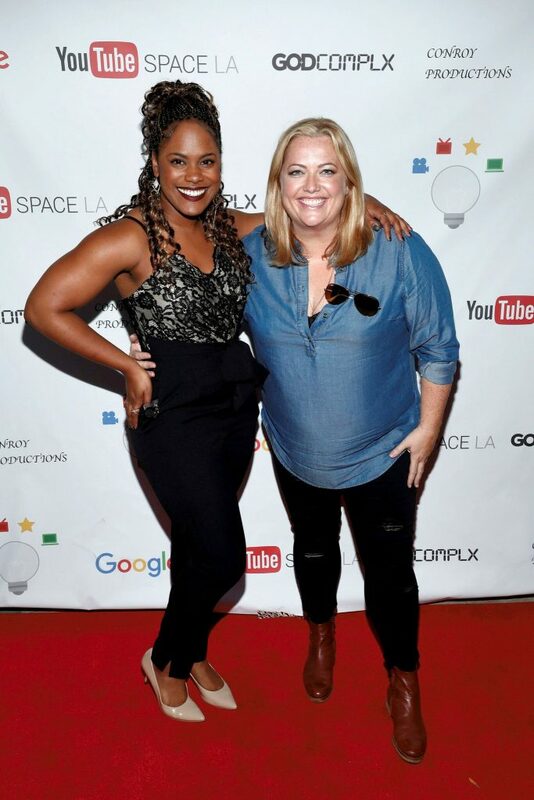 To further the message of diversity in tech, Google has put its money where its heart is and launched its very first scripted YouTube series entitled God ComplX. [You can stream all episodes by clicking here.] 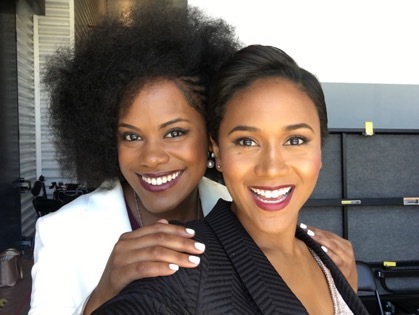 The story centers on an African American female coder (played by Maya Washington AKA Shameless Maya) who leads a multi-billion dollar tech company located in LA’s Silicon Beach. God ComplX features a beautifully talented and diverse cast of rising stars, including Caleb Hwangbo, Joshua Michael Moore, Maya Washington, Nick Moss, Priscilla Bawicia, and Shayna Spiels. Daraiha was the project lead on this production with its rainbow-colored cast and record-number of women, including: Executive Producer-Claire Brown; Director-Morenike Joela; Director of Photography-Chelsea Pettit; Producers-Beth Tajisan, Nakisha Celistan; Camera Operator-Keke Dexter; Writers-Rasheena Nash, Erin Andrews; and 2nd Assistant Director-Gabi Shabazz. God ComplX boasts a production staff comprised of 95% women. Daraiha also develops conferences, curriculums and other educational platforms to help raise awareness that tech jobs are open and available to everyone. 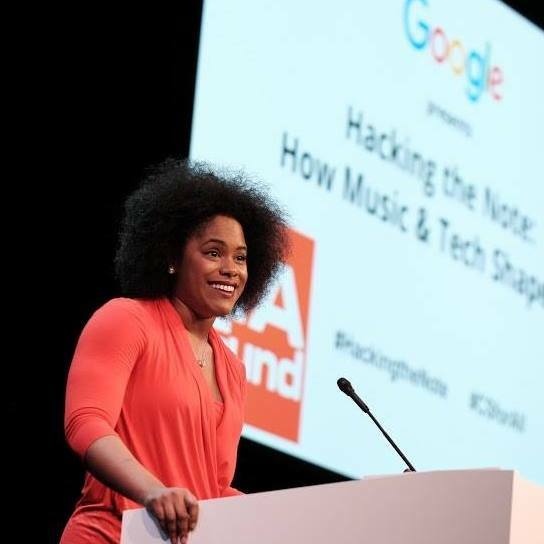 This spring, Daraiha and the CS Education in Media team hosted “Hacking the Note: How Music And Tech Shape Us”, a live stream event focused on the correlation of music and technology. The seminar focused on several tech areas, including: getting young people excited about pursuing computer science jobs; as well as showing them how most jobs, including careers in music, intersect with, as well as utilize, computer science. Daraiha is currently planning a similar event with iLuminate to highlight the intersection of technology and dance. We caught up with Daraiha at the GodComplX premiere and she revealed invaluable information, including: 1) how she snagged a top job at the #1 company in America; 2) Google’s launch into scripted media; and 3) her unwavering commitment to diversifying the tech world. KC: Your name is very unique. Does it have a meaning? DG: The way you pronounce my name is “duh-RAY-uh” like “duh-RAY-uh-Sunshine”. It doesn’t have a meaning, but it is a combination of my parents’ names, “Darcy” and “Ray”. They got really creative and put them together. I love how different and unique it is. KC: Tell us a little about your background? DG: I grew up in Boston, MA, and I was really into the performing arts. Both of my parents are musicians and met at Berklee College of Music. My dad is currently one of the lead singers for Santana right now. I have one younger sister and she and I grew up with the love for entertainment and music. I’m an aspiring actress. I sing and have a special place in my heart for musical theatre. I’ve been dancing since I was four, so that’s always been my hobby. It’s truly a part of me; it’s my sanity and my outlet outside of work. KC: How did you get hired and start working at Google, the #1 company in America? DG: Google is actually my first job out of college. I graduated from Dartmouth College, Class of 2012, where I majored in Sociology and Theatre. 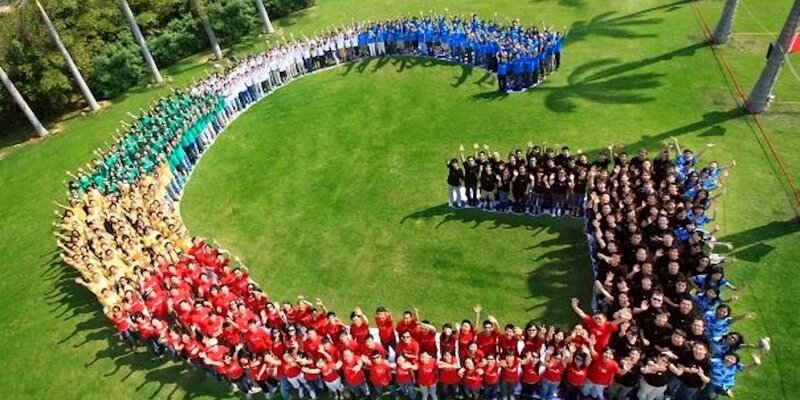 I interned at Google my junior year and the experience was amazing. I was on the Benefits team and got converted full-time into a rotational program at Google. A lot of undergrads start out in this rotational program. I networked like crazy and met my colleague, Julie Ann Crommett, who leads the Computer Science Education in Media team. She came from an entertainment background and was able to marry her passion for the industry with what we do at Google—which is, promote computer science for all. I was looking for something to marry my passion for performing arts, music and entertainment with diversity and education in general. I guess we kind of found each other at the right time. We also have another fabulous teammate, Courtney McCarthy. We’re a small, but extremely persistent, driven, and mighty team. KC: Since you started working at Google, what’s your job and focus? DG: As our team’s Diversity in Entertainment Ambassador, I lead the strategies for people of color, people with disabilities, and the LGBTQIA community. I also serve as our liaison for the broader Public Relations (PR) and Communications (Comms) teams at Google. I manage our internal site, quarterly newsletter, bi-weekly update emails, and upcoming YouTube channel. KC: You advocate for the use of technology, but are you tech savvy, yourself? KC: How did God ComplX, Google’s first scripted series, come to fruition and how did it fit into your vision of merging diversity and tech? DG: Yes, as part of my vision, I definitely wanted to do something big and work on content directed toward diverse communities, especially people of color. We met with Claire Brown who is the Executive Producer for Akil Productions and we decided to pursue a project in the digital space. Why not a web series!? Her team sent me four treatments and GodComplX was one of them. For some reason, I just connected with that one the most. I loved the story and it had the most diversity amongst the characters. I was totally involved in the process from the very beginning and it was amazing. We received all of the scripts and rough cuts for GodComplX. We gave feedback and brought one of our engineers, Bernadette Carter in to advise. We funded the entire series and worked with Mahin Ibrahim at YouTube Space LA to get the production space to film the series in six days! Claire worked her magic and brought in some incredible people. That’s how I met Morenike Joela who was our director for the series. I met the entire cast that day too. They’re all so talented, humble, down-to-earth, and just incredible actors and human beings. I was so grateful that they were all willing to act in this series, especially Maya Washington, who plays out star, Sabrina Harris. Really, it represents just showing kids and young girls — young Black girls especially — that you can do this. This is for you. Here is someone, a Black female coder, who is like the Olivia Pope of tech showing you that “yes”, you can do this too. We just want to include additional character profiles within the STEM space so that in the long run, we’ll have more diverse leaders in technology. Diverse perspectives yield better results. People will make more money and projects will be so much better and more impactful. We were really trying to show “normal” people who happen to be computer scientists. You’ll see well-rounded, brilliant people who come from different walks of life, and I think that’s so cool. 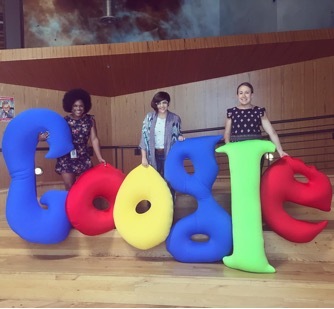 KC: As an African American woman working for Google, what do you think the Tech world can do to increase and promote diversity? DG: First and foremost, I think the Tech world can be bold. They can start to take a stance on these issues and be public about them. And I want to give a quick shout out to Valeisha Butterfield-Jones. She is our head of Black Community Engagement at Google. The fact that Google even has a Black Community Engagement lead is tremendous. I think that it would be awesome if all Tech companies had a sector or team specifically dedicated to helping people of color and other marginalized groups. I think it’s just a matter of spreading the awareness, being more open and transparent. I feel a lot of the time, when you’re such a huge giant of an organization, it’s hard to take a stance. You’re afraid you’ll lose support, but you also have to stand for what’s right. I think Google has done an amazing job of that by admitting that there’s an issue and setting an example for others to follow. KC: Can we expect more scripted shows from Google? DG: I hope so. I definitely cannot say for sure right now, but we are fighting really hard for a Season 2 of GodComplX. We need everyone to support Season 1 and watch it on YouTube. Subscribe to the channel and “like” it because if we can prove the show’s success, we will absolutely be able to make a strong proposal for another season. I personally would love to be able to expect more scripted shows from Google and the CS In Media Team, but we’ll just have to see! KC: What’s next for you during your time working at Google? DG: I don’t see myself going anywhere anytime soon. I love the Computer Science in Media Team at Google. We are actually hosting an event in December called “Changing the Equation” and it’s going to be a great event for key influencers, entertainment industry execs, and educational professionals as well. We can only change the equation if we combat these issues together from all sides. We’re going to have three impactful panel discussions on race, unconscious bias, and social barriers, challenges in STEAM education, and STEAM education in the media. KC: There’s a 2008 song called “Google Me” by Teyana Taylor. What would we find if we Googled you? DG: You will find out that I’m a dancer. I’m in a dance group called “Groove Against the Machine”. Before that, I was in a dance group called “Academy of Villains”. And then before that, I was in a dance group called “S.H.E.B.A.” That stands for “Strictly Hip Hop Expressions Beats & Art”. That was my college group at Dartmouth. So, you would see a ton of dance videos and some events that I’ve done for Google too. KC: You mentioned that you played “Messy Monique” in God ComplX. Any plans to expand your acting resume to include other TV or film projects? DG: I am such a movie and TV buff. I mean, I watch TV so much; it’s ridiculous. I would honestly be grateful to be on anything, but I would love to be the voice of a character in a Disney movie. I’m obsessed with Disney – especially the villains. My other dream is to dance in a movie like the Step Up movies; I love those. I would be honored to do anything that empowers women and really promotes diversity through positive portrayals. KC: What can young people do to follow their dreams? DG: For young people, I would say definitely learn the art of networking. Never be ashamed of who you are; share it with the world. Step outside of your comfort zone. Right now, I am stretching so far and that’s because of the team that I’m on now. I‘ve learned so much. Try to meet many people from different walks of life. 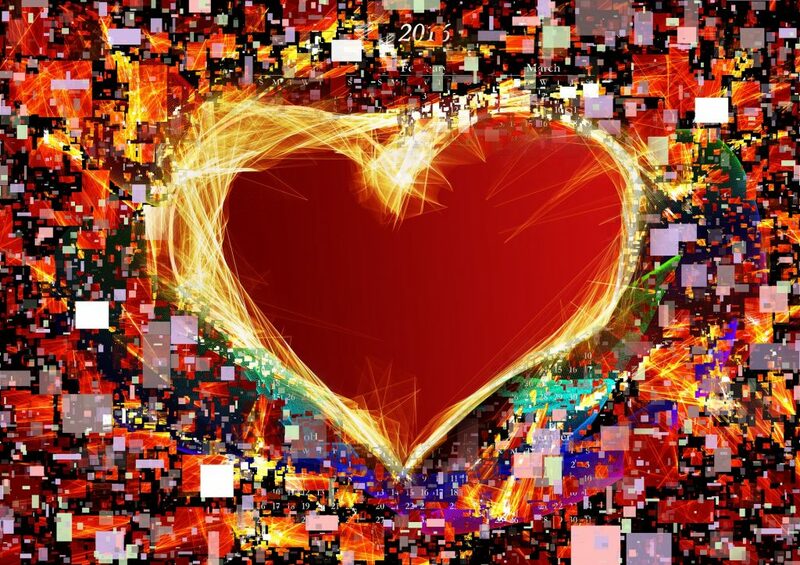 Break out of that “like me” social bias and take a chance with someone new. Spread your truth and never give up. Additionally, for parents and guardians, encourage your children. I’ve been so fortunate to have the best parents in the world who have been champions of me since I came out of the womb. They have told me that I can be whatever I want to be and have given me my self-confidence and my joy. I’m just so happy to wake up every day and that’s because I have such a strong support system of people who are backing me up and telling me I can do whatever I put my mind to. To everyone reading this: just love one another and take care of each other. I feel like we are in such a combative time right now. It’s hard to stay positive throughout all of that, but just holding onto hope and motivating one another will make a huge difference. Follow those dreams and support! KC: Where can people go to get more great info on Google and some of the other educational programs that CS In Media offers? DG: The CS in Media Team sits on the K-12 Education Outreach Team at Google led by Mo Fong. The Google for Education website is: g.co/csedu. Teachers, parents, and students can go on there and get some great info and resources. Daraiha Greene and Google are committed to changing the face of computer programming, one disenfranchised child at a time. They believe in and are leading the charge to teach children of all walks of life the not-so-secret code to success; which, in the 21st Century, is directly linked to having a strong foundation grounded in science, technology, engineering, and math. In other words, in this highly competitive market place, if you want to reach your peak, then it’s time to push full STEAM ahead.